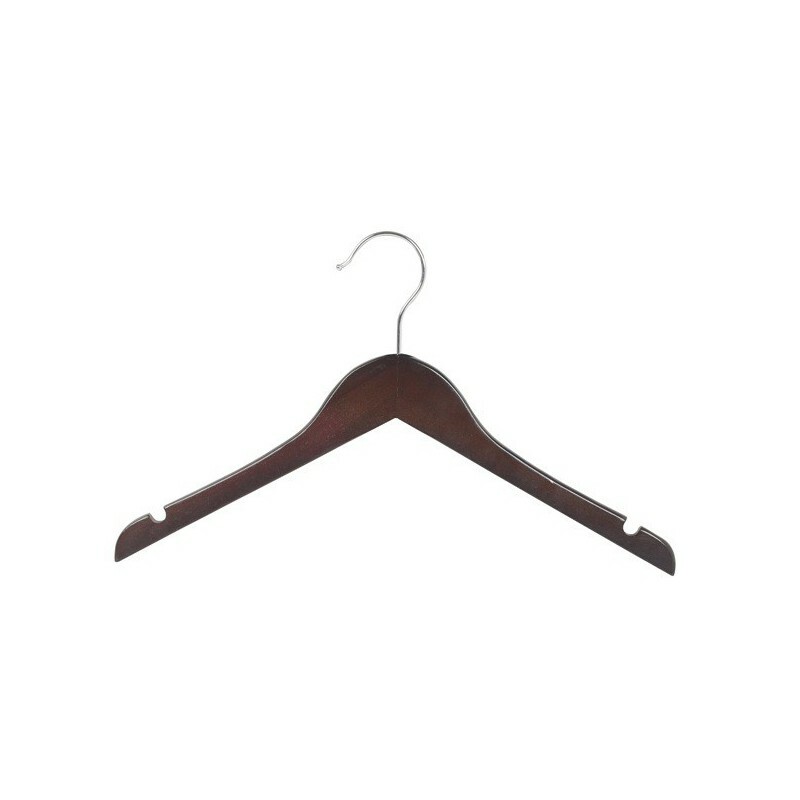 These low gloss walnut hardwood childrens hangers feature a space-saving flat body and notched shoulders for the option of hanging straps. 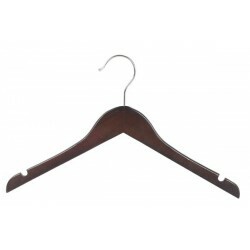 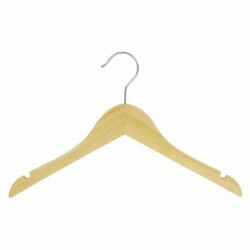 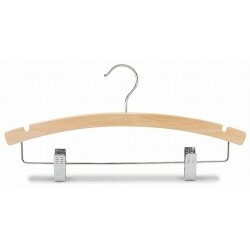 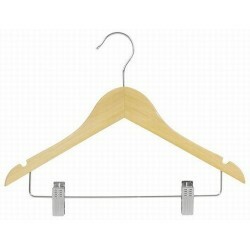 These hangers also come with an elegant polished chrome swivel hook. Finished with a double coating of lacquer to prevent splintering, these high quality, low cost hangers will last your child into adulthood. 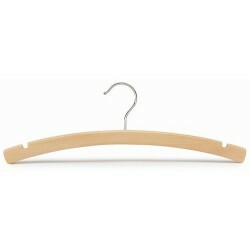 Sold in boxes of 100, half boxes of 50 or in smaller bundles of 25 hangers.